Oil, pencil, chalk and coloured tape on canvas. 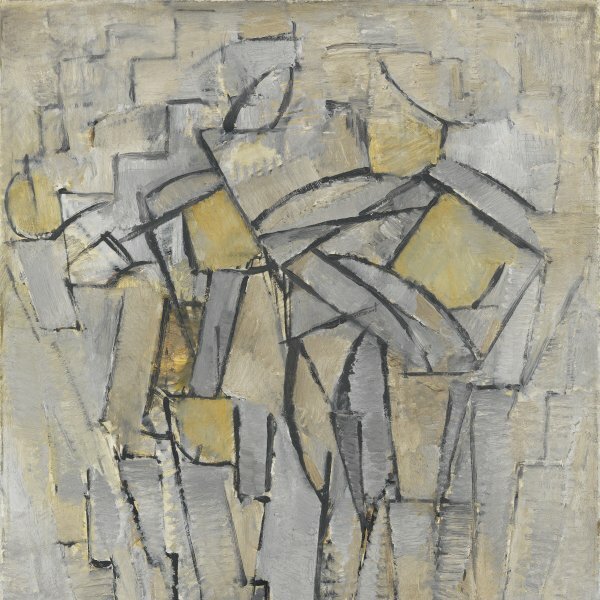 In view of the Nazi advance, in 1938, after the signing of the Treaty of Munich, Piet Mondrian decided to abandon Paris, his city of residence for nearly twenty years, and moved to London, where his friends Ben and Winifred Nicholson found him a studio in Hampstead. Two years later, following the air raids on London and the German occupation of Paris, he decided to accept the invitation of the young American painter Harry Holtzman and settled in New York, where he spent the last years of his life. 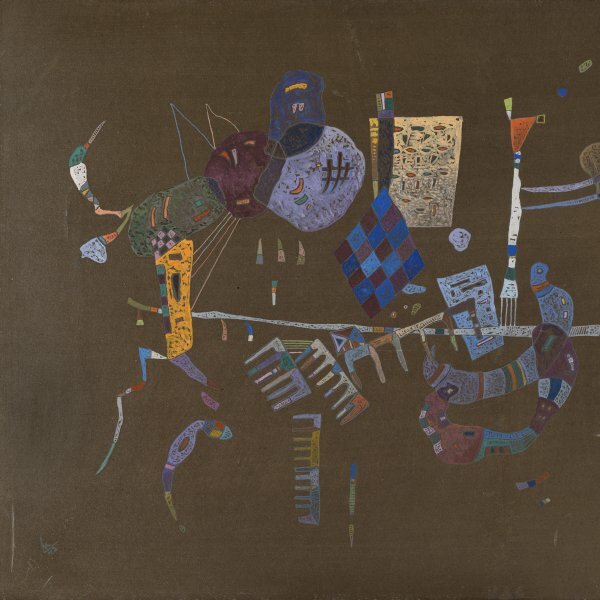 The exodus of European artists to America was a widespread phenomenon during those years and for all of them the new physical and intellectual environment brought about changes in their art. 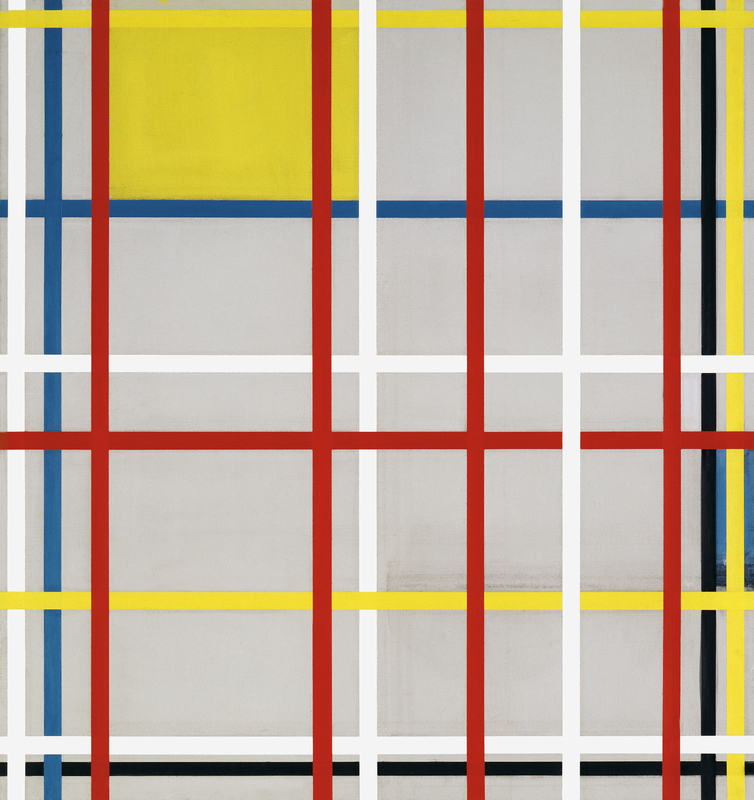 As a result of the impact of Manhattan and American culture, coupled with the interest Mondrian had developed in jazz music years earlier, his painting lost its previous rigidity and acquired greater freedom and a more lively rhythm. From the outset he was powerfully attracted by the dynamism of the great metropolis, its quadrangular layout and its towering buildings which, as he used to say, were “the furthest from nature, ” but also by the latest developments in rhythm and counter-rhythm in jazz and by the new boogie-woogie style that had fascinated him earlier in Paris. According to the testimony of Professor Martin S. James, owing to its delicate state the painting was restored in 1977 by Bill Steeves and Harry Holtzman, Mondrian’s painter friend who managed his Estate. They reattached the tapes that had come loose and replaced those that were torn, taking care not to alter the colour or original arrangement.